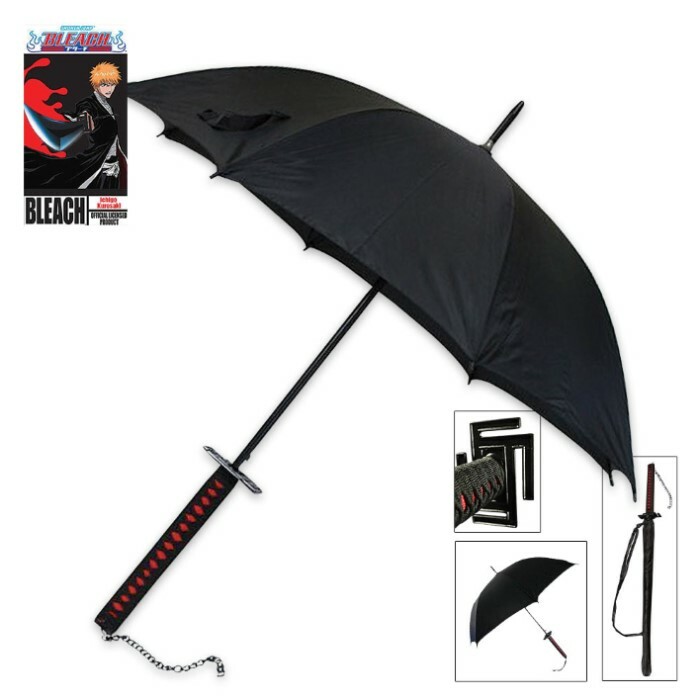 You’ve been asking for it and we’ve got it—the officially licensed umbrella from the popular Bleach series. This anime-inspired replica has a samurai sword-like handle complete with cord wrappings and a decorative tsuba hand guard. This designer replica even features the distinct hanging chain just like the sword. I bought it and is so awesome to kill hollows with.